There is a long list of domestic cat breeds that exist today, but in ancient times things were a little different. In ancient Egypt cats were known as the mau and played an important part in society. The two breeds of cat that are native to Egypt are the Jungle Cat and the African Wildcat. The wildcat proved to be friendlier with people and contributed more to domestication. 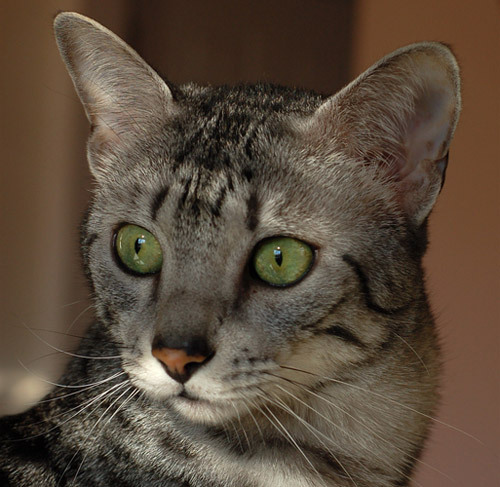 However both cats were interbred & eventually fused to create a new breed, the animal we call the Egyptian Mau. Not actually a breed, the Mau was what Egyptians called all cats, regardless of what type of feline they were. Initially they were found valuable for ridding crops of vermin (including cobras) and soon a symbiotic relationship formed between feline & humans. The Egyptians came to appreciate their cats on another level, & it wasn’t long before they became a symbol of grace & poise. From popular symbols the feline was catapulted into Godlike status as they were associated with the goddess Bast. 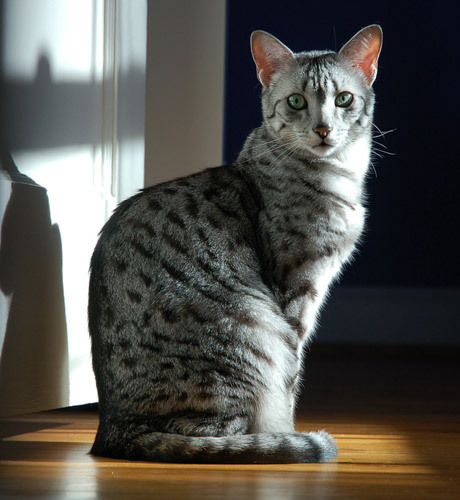 The Egyptian Mau is the only naturally occurring spotted breed of domestic cat. However their best feature is their eyes, they are large with a slight slant and come in the most arresting shades of green. 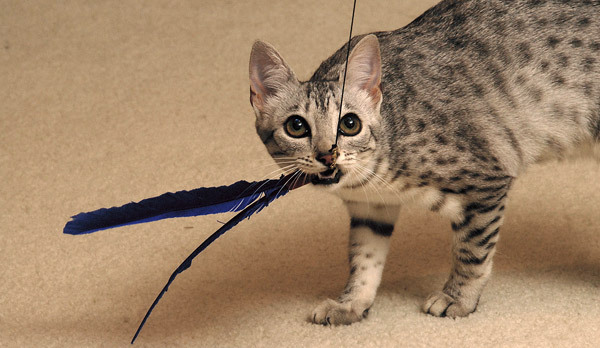 Althought the Egyptian Mau is an ancient cat, it isn’t the oldest. In the coming weeks we will meet other ancient cat breeds and learn more about where your domesticated cat comes from.